Without water, no life could exist, and many essential and nonessential human activities wouldn’t be possible without the use of healthy watersheds. 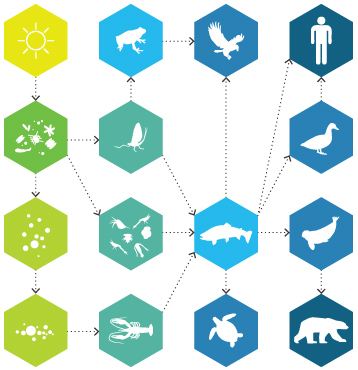 These same activities can impact watersheds, in ways both large and small. Watersheds often span political and cultural boundaries; while neighbors separated by city, state or national borders may not live under the same legal and cultural guidelines as one another, both could be citizens of the same watershed. By this measure, ensuring the health of a watershed — or the lakes, streams and rivers within — is as much a responsibility to your fellow human as it is to your local, state or federal regulating agency. For this same reason, water quality regulations are increasingly focused on the watershed level rather than established by political boundaries. Streams and rivers offer an above ground glimpse at the health and hydrology of a watershed, and function as a vital resource for human activity, as well as habitat for a host of non-human animals and plants. In the U.S. alone, there are over 3.5 million miles of streams and rivers flowing through many different landscapes. Despite this widespread reliance on waterways, the U.S. Environmental Protection Agency has found that over half of streams and rivers in the U.S. are in poor biological condition. If a stream or river may be impacted by your project, it is vital to establish a proper monitoring system to ensure that the waterway’s hydrology and water quality are affected as little as possible, and so that any impact can be mitigated if it is detected. Much like arteries and veins in a body, streams and rivers pump invaluable lifeblood — that is, fresh water — throughout a landscape. In the U.S., management of these vessels, and, indeed, all water bodies, focuses on maintaining and expanding existing supplies of freshwater to keep up with growing demand. This demand is fueled by various uses, categorized broadly by the U.S. Geological Survey as commercial, domestic, industrial, irrigation, livestock, mining, public supply and thermoelectric power. While not all of these uses may draw directly from a stream or river, the water required for each will have almost certainly passed through a flowing waterway at some point. Monitoring systems may be established in streams and rivers for reasons as varied as the water uses listed above, but your application will likely fall into one of two broad categories: research or practical. Research applications include systems designed to study one or more aspects of stream and river hydrology or water quality, whether to educate or provide a better understanding of human impact, animal use, habitat quality, etc. Practical applications include systems designed to monitor impact from your own project, or perhaps the project of a client. This could entail monitoring turbidity during a dredging project, discharge and flow rates at a fish hatchery, or nutrient loads near an agricultural operation, among others. Regardless of the nature of your application, you should aim to develop a monitoring strategy that provides rapid feedback, allowing involved parties, if necessary, to responds to potential issues before they grow into larger problems. Before starting any project, consider any regulations that may be established by regional and federal agencies as well as your own clients or stakeholders. The U.S. Army Corp of Engineers has established a comprehensive set of guidelines to assist in dredging projects, but the portion of these guidelines dealing with monitoring are applicable to any project. 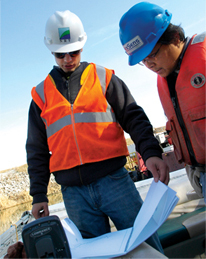 The USACE recommends drafting a comprehensive monitoring plan that includes equipment and techniques to use, protocols for sampling, where to place sampling devices and details about how to interpret the monitoring data. Furthermore, the guidelines suggest creating a management plan that describes the specific actions to be taken based on the results of the monitoring. The most rapid and efficient management responses are achievable with real-time data. A wide array of hydrological phenomena can manifest in streams and rivers, each as complex as the last, and, in many cases, are intertwined with one another. Natural resource managers responsible for waterway upkeep may need to keep a close eye on some or all of these phenomena, while specific monitoring projects may only aim to observe a particular effect of one. Even if your application only calls for monitoring of one parameter or process, understanding how that process affects others and fits into the overall health of the river will improve your ability to analyze data and respond appropriately. Contamination from any foreign source can spell trouble for streams and rivers, but sources that unbalance nutrient levels in the water often have especially far-reaching effects. 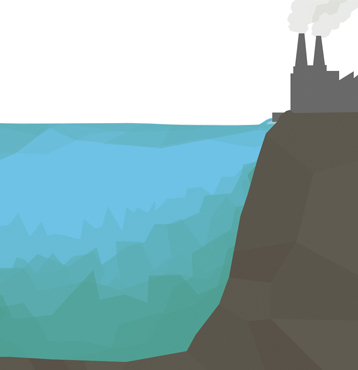 Common sources of nutrient pollution include agricultural operations, sewage and industrial waste. A 2009 U.S. EPA survey found that 40 percent of streams and rivers in the U.S. suffer from excessive levels of phosphorous, while 27 percent have high levels of nitrogen. Excess nutrient loads can damage water quality in a number of ways, many of which are interconnected. High nutrient content can promote plant and algae overgrowth, reducing dissolved oxygen content in the water and stressing fish and invertebrates. Under the right conditions, nutrient pollution can lead to eutrophication. Algae and algal blooms should not be regarded as inherently harmful to water quality in a waterway. In fact, algae are an important part of stream and river ecosystems. Algae oxygenate water, convert inorganic matter into organic matter, and act as the base of the waterway’s food chain. Slow-moving rivers are far more susceptible to algae blooms than those with high streamflow. In these rivers, blooms may occur in regular intervals, usually every summer, when temperature, sunshine and low wind speeds provide ideal conditions for growth. Nutrient loads are the primary determinant of algae growth in rivers, and therefore it is vital to monitor nutrient levels — especially phosphorus and nitrates — in rivers that exhibit an overabundance or lack of algae. Water temperature, turbidity, and competition from other plants and animals can also influence the growth of algae. High levels of algae can contribute to eutrophication, turbidity, and hypoxia in rivers. Because many algal blooms form on the surface of a river, most monitoring can be done by sight alone, though aerial observation may be useful for particularly large rivers. Turbidity is a measurement of water clarity. Turbidity can be influenced by a number of factors present in water bodies, including the presence of mud, silt, algae, or chemicals in the water. Industrial activities, such as mining, logging and — perhaps most commonly — dredging often contribute to turbidity levels in streams and rivers. Turbidity is a closely related to streamflow and should be measured near stream gage sites when possible. Turbidity often varies with the seasons, as ice and snow drastically affect flow and the presence of sediment that can cloud the water. Rivers covered in ice during the winter usually exhibit very low turbidity, but will develop high levels of turbidity following spring snowmelt as mud and dirt are washed into the water. The growth of algae and other organisms in the summer can also cause a boost in turbidity. The significance of turbidity in a waterway depends on the season, the morphology of the channel and the ecosystem within. Highly turbid waters prevent the passage of light necessary for plant growth, which can also diminish the survivability of other organisms that rely on plants for food. Algae-related turbidity is often associated with eutrophication and hypoxia. Very high turbidity can actually cause fish and other organisms to suffocate, impact their ability to catch prey, and even bury fish eggs on the streambed. Particles responsible for turbidity may carry bacteria or other contaminants that can harm water quality. Regular turbidity monitoring can help detect early erosion. When overgrown blooms of algae die and decompose, the increased loads of organic matter — and the organisms responsible for decomposition — consume available oxygen in the water, causing hypoxic “dead zones” to form. These dead zones reduce the liveable space in a river, and can increase competition and kill off other organisms, such as fish. The process is natural in most water bodies, but anthropogenic activity, such as agricultural fertilization, can speed it up. While eutrophication is mostly a function of nutrient loads, temperature can have a major impact on the phenomenon. Higher temperature can increase biomass production, therefore contributing to the overall rate of oxygen depletion. Streams and rivers are less vulnerable to eutrophication than standing waters such as lakes and ponds, because turbulence and streamflow prevents stratification from occurring, but they are by no means immune from the phenomenon. While streams and rivers may be monitored for many qualities and parameters that they share with lakes, ponds and basins, they possess one quality that sets them apart from other freshwater bodies: movement. Streamflow is a keystone parameter that impacts many other aspects of a river’s hydrology and water quality. Although these other aspects may be just as vital to a river’s health — or just as applicable to your particular project — they may be shared with other types of water bodies, and in many cases will be covered in other chapters. For this reason, this chapter will focus primarily on establishing streamflow through stage discharge measurement. 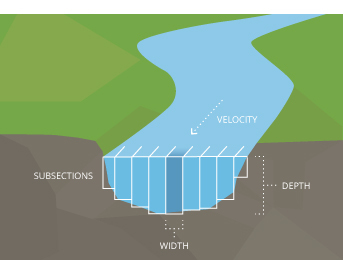 Learn more in the Streamflow Measurements section. The specifics of your stream or river monitoring system will depend largely on the requirements of your project, as well as site conditions at the waterway. While every stream o rriver monitoring system may not require a full stream gage installation with stilling well and associated instruments, it may be helpful to consider what such a system should entail as determined by the country’s preemintent river monitoring agency: the USGS. USGS standards insist that river stage should be measured to an accuracy of 0.01 inches. This level of accuracy can be attained by any of the methods previously described, using floats in a stilling well, pressure transducers or with radar. The USGS mandates different measurement intervals based on the purpose of the stream gage. For instance, ALERT (Automated Local Evaluation in Real-Time) stream gages used for flood warnings only transmit data when water levels reach a certain depth, or change drastically within a particular interval. Partial record stream gages only operate during particular flow regimes, indicating high flow, peak flow or low flow, for example. Standard USGS stream gages must operate at least 355 days per year and transmit data via telemetry at 1 to 4 hour intervals. 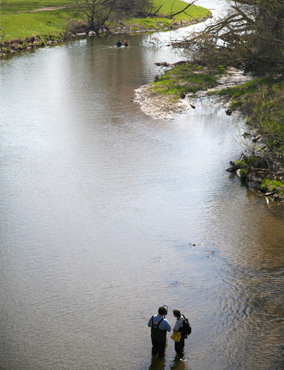 A stream or river monitoring project can also require the observation and measurement of water quality. In these situations, a multi-parameter water quality sonde is recommended. Multi-parameter sondes differ from brand to brand and model to model, but they are unified by a few common traits. As would be expected, multi-parameter sondes usually feature an array of ports for attaching conductivity, temperature, depth, pH, dissolved oxygen, turbidity and level sensors and probes. Ideally, these sensors should be replaceable in the field for off-the-cuff maintenance and system modifications. Some sondes will feature built-in sensors, leaving more sensor ports free for additional measurements. Most sondes contain an internal battery and memory so they can be deployed for long periods without regular attendance. Data logger and external power connectivity allow for even longer deployments, especially when data is accessible in real time via wireless telemetry. There are many hydrological and water quality parameters that can be measured in a stream or river, but the needs of one monitoring project can differ widely from another. The number of monitoring sites, their locations, and the instruments used at each will vary from project to project, but a common solution is based around at least one stream gage site and related instruments. To be effective, measurement data should be provided in real time. The easiest and most efficient way to do this is with a stream gage station installed on a riverbank or standing structure, such as a pier or bridge support. 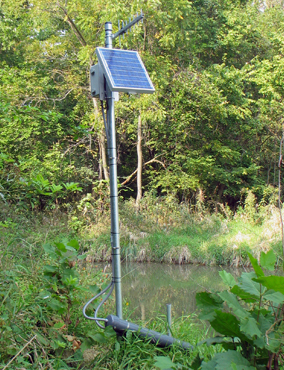 A stream gage built around a stilling well can contain other instruments, such as multi-parameter sondes equipped with an array of sensors, as well as data loggers and telemetry systems. With multiple telemetry options to choose from, continuous real-time data are available from any computer. This ensures that the project runs smoothly, and any control measures can be implemented immediately if parameter limits are exceeded. A stilling well is an isolated reservoir that permits inflow and outflow of river water, and is usually equipped with a submersible pressure transducer, bubbler, or shaft encoder to measure stream stage. 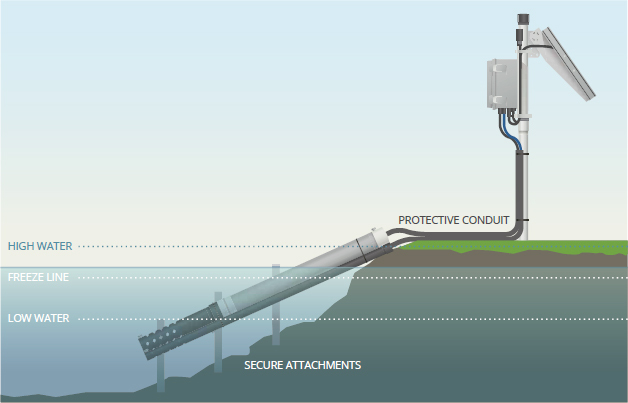 Stilling wells can be installed in the riverbank or attached to standing structure, and may be housed along with a datalogger and telemetry system. An integrated data logging system is a real-time monitoring station that houses the data logger, telemetry module, and power/charging supply. Since it is generally cost-prohibitive to run AC power to the monitoring location, integrated solar panels are used to continuously charge the 12VDC battery for autonomous operation. Multi-parameter sondes offer a versatile platform for deploying several sensors at a common site. These sondes can also act as an interface between sensors and a data logger or power source. A submersible pressure transducer measures the combined pressure exerted on it by the atmosphere and the head of water above it. A vent tube in the cable automatically corrects for atmospheric pressure influences. Telemetry provides access to data in real time. The wireless communication can be radio-to-shore, cellular, or satellite based. Instant access to project data is available 24/7 through a cloud-based data center. Monitoring data can be viewed in real time, or as a graph to identify trends. Real-time automated alerts can be sent via text or email when specified parameters exceed predefined limits. The monitoring objectives will determine the approximate location of the stream or river station. Site-specific characteristics must also be considered to ensure a successful project. Physical constraints of a site, the time required to reach the location, legal and physical access to a site and safety issues must be considered when making site selections. The monitoring location should be relatively accessible for carrying in equipment to perform periodic calibration and maintenance. If using telemetry, determine whether there is sufficient cellular coverage to get a signal from the site. If not, satellite telemetry will likely be required. The installation site should be selected so that flow conditions are reasonably constant over the physical area occupied by the beams. The sensor should be located in a straight section of the channel, away from curves that can cause variations in the flow distribution. Avoid man-made control/flow structures upstream or downstream of site that may change flow profiles erratically, as this will make rating development difficult. Make sure data logging and telemetry equipment will be installed sufficiently above the high water mark to prevent it from being flooded or otherwise damaged by high water. Install the sensors based on lowest expected stage. Also consider whether ice will form in winter months. If so, try to keep sensors installed below the freeze line. Consider sediment issues and try a vertical stilling well whenever possible. Sensor mounting pipes should be securely attached to the stream or river bank with a bottom pin so that the sensor is always redeployed at the same location. Any potentially exposed sensor cables near the ground should be run through conduit to the data logger box to protect from animals. A major part of any monitoring project is collecting and accessing the data. While it is possible to simply record measurements onsite, the ability to log, send and view monitoring data in real time is far more efficient. Learn more in the Monitoring Equipment section. To maintain accuracy and keep equipment functioning within specifications, best practice recommends cleaning and calibrating the instruments at regular intervals. It is also recommended to cross-check sensor accuracy against a separate instrument. Projects may even require the use of a Quality Assurance Plan (QAP) that provides a detailed outline of maintenance, calibration and QA/QC requirements. Regardless of the water quality instrument(s) deployed, periodic maintenance and calibration is essential. Instrument maintenance includes cleaning the instruments (especially if a sensor is not self-wiping), and replacing any deteriorating O-rings to prevent water ingress. Maintenance intervals are largely dependent on site conditions and other variables, such as the potential for biofouling. Common calibration and maintenance intervals are on a bi-weekly or monthly basis. sensor. Volumes will vary, just make certain that the sensor is submerged. Be careful to avoid cross-contamination with other standards. For greater details regarding sensor calibration, the manufacturer’s user manual should be referenced. In case of sensor failure or damage, it is useful to have spare sensors or sondes on hand. These can be field swapped during calibration or routine maintenance checks. Having spare equipment available will reduce downtime due to unforeseen sensor failure, which could cause critical and costly interruptions to long-term datasets. In addition to keeping equipment calibrated, it’s important to periodically verify that the sensors are providing accurate data. The best way to achieve this is by checking water quality values in the same area using a separate, portable monitoring system. This is also known as spot sampling. 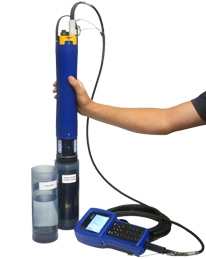 In many cases, the same water quality instruments deployed in the stream or river can be outfitted with a cable and handheld display for spot sampling. For example, if a YSI EXO2 water quality sonde is deployed, then a separate EXO2 sonde with cable and handheld display can be used for performance verification. It is important to use the similar and consistent sensors when verifying data, as values tend to have variability across different sensing instruments. The sonde or sensor can be lowered into the water to a depth that matches the in-place sensors. 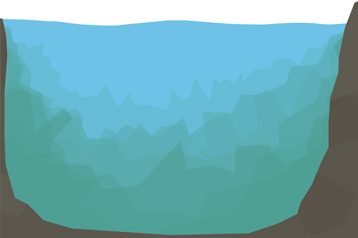 While it is at that depth, a water quality measurement can be taken. The data from this portable system can then be compared to the in-place monitoring system and checked for discrepancies. Another way to verify sensor performance is to pull the water quality instrument and check the sensor values in known standards prior to recalibration. This is sometimes referred to as a post calibration check. By checking the measured values against a known standard, it is possible to observe and document the amount of sensor drift that occurred since the last calibration. The difference in value can be compared to pre-determined criteria. if the difference is outside the criteria, then the measurement data may need to be qualified. While there are plenty of limnological and hydrological monitoring instruments on the market, some stand out about the rest. Fondriest Environmental has selected these products as the best in their field for their quality, reliability and value. 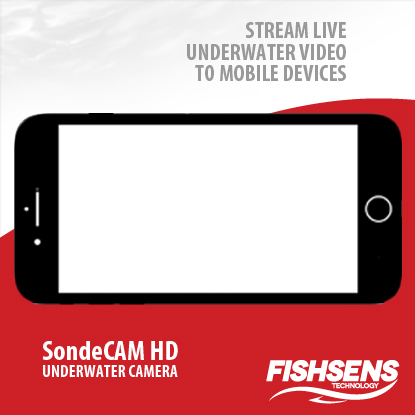 Together, they provide an advanced and powerful real-time monitoring system for any stream or river. The PT-500 Submersible Pressure Transducer from APG is durable enough to measure depth in the dirtiest, most turbulent waters. YSI’s EXO2 Multi-Parameter Water Quality Sonde provides six sensor ports, making it the perfect foundation for water quality monitoring in any setting. The NexSens 3100-MAST Wireless Telemetry System features a mast-mounted data logging system with cellular modem telemetry and solar charging to keep your data up to date while you’re away from the field. Additionally, the WQData LIVE web datacenter allows 24/7 remote access to collected data from any computer or mobile device, while incorporating instant alarm notifications and trend tracking. Fondriest Environmental, Inc. “Stream and River Monitoring.” Fundamentals of Environmental Measurements. 28 May 2015. Web. 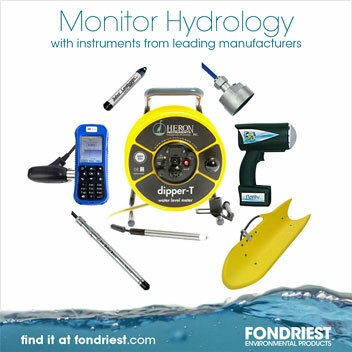 < https://www.fondriest.com/environmental-measurements/environmental-monitoring-applications/stream-and-river-monitoring/ >.